On August 4, 1964, the bodies of three civil rights workers were found in Philadelphia, Mississippi. James Earl Chaney, Michael Schwerner and Andrew Goodman were registering Black voters when they were abducted and murdered by the KKK. Fifty-four years later, the work of Chaney, Schwerner and Goodman is not over. The City of Bloomington has a one-page reference on voting for Bloomington residents. Clicking on the State Seal (left) takes you to the Vote MN site which is a reference on voting in the 2018 elections in Minnesota. Your School District Polling Place may differ. 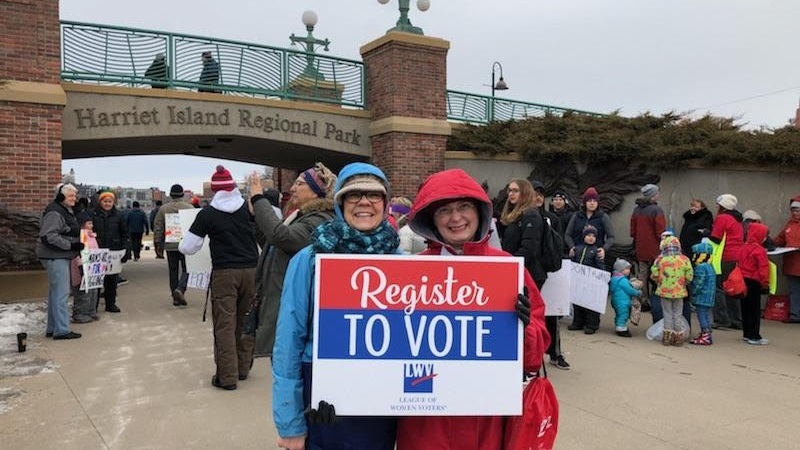 Registering voters can be fun, even on a cloudy day.